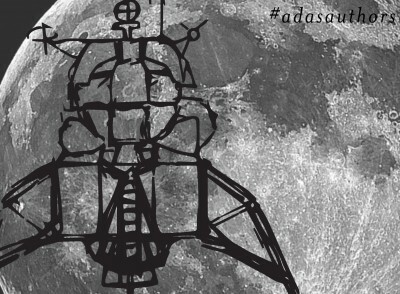 On Saturday, August 9th, at 6pm, Richard Stachurski is coming to Ada’s to read from his memoir Below Tranquility Base: An Apollo 11 Memoir—a ride along a most unlikely career path of a man who studied history in college, leading from an Air Force bunker in South Dakota to a mission control room in Houston for a front-row seat to humanity’s first steps on the moon. Since his retirement from the Air Force, Richard has spent much of his time writing. 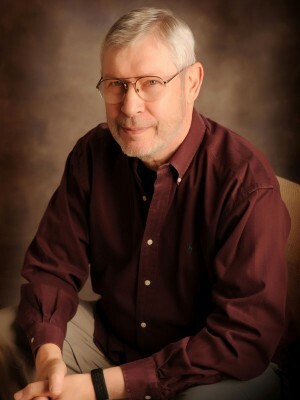 In addition to his memoir, Richard has written several articles as well as Longitude by Wire: Finding North America, a historical narrative that tells how American ingenuity helped solve the international mystery of longitudinal measurement. After writing, Richard’s “second major pursuit is being ten years old again. . .volunteering as a math tutor at the local grade school” where he teaches algebra to fifth graders. In his remaining free-time, Richard makes another kind of art (apart from writing and teaching)—“paintings of cityscapes” with a nod to his idol Edward Hopper. Richard grew up in New York City, but now resides in Bellevue, Washington, an easy place for him to call home thanks at least in part to “good friends, the beautiful northwest countryside, and the proximity to a city that offers an enormous range of cultural attractions like the Seattle Art Museum and the Town Hall lecture series.” Like so many of us in the Ada’s community, Richard is “one of those people who is always reading multiple books at the same time.” He has a “very, very scientifically precocious seventeen-year old grandson” with whom he’s trying to keep pace by reading Vol. III of Richard Feynman’s lectures on physics, Quantum Mechanics. Ever vigilant in his research of new topics about which he can write, Richard cited Ferol Egan’s Fremont: Explorer for a Restless Nation as one of his current reads as he begins his process of writing another historical novel. For Richard, step one when writing “is to do copious research” until he convinces himself “that the story has just jumped out from my notes.” Why? Simple: “I love to tell stories—the trick is to find them” and for Richard, finding them is at least half of the fun. Though he continues to learn and hone his craft, Richard shared with me that writing has been one of his favorite past-times since he was a little kid, relishing at the opportunity to “take a collection of seemingly separate people, events, and outcomes and organize them into something with a beginning, a middle, and an end—a story.” Richard’s love for writing, his appreciation for well-researched history, and admiration of the whimsical “rhythm and emotional content” of authors like Herman Melville shines through in Below Tranquility Base, which captures such a specific and climactic chapter in U.S. history in a way that is captivating while keeping at least one foot on the ground. This entry was posted on Wednesday, July 30th, 2014 at 9:17 pm and is filed under Ada's Events, Authors of the Month. You can follow any responses to this entry through the RSS 2.0 feed. Both comments and pings are currently closed.